Ged Wiren grew up in Colville a small rural town at the northern tip of the Coromandel Peninsula where he spent much of his childhood in and around the sea – sailing, fishing, swimming and exploring the coast. 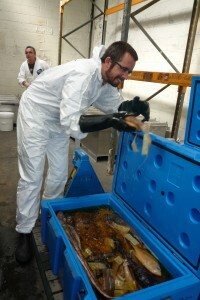 Ged studied mechanical engineering and science and began working at Auckland Museum in 2006. 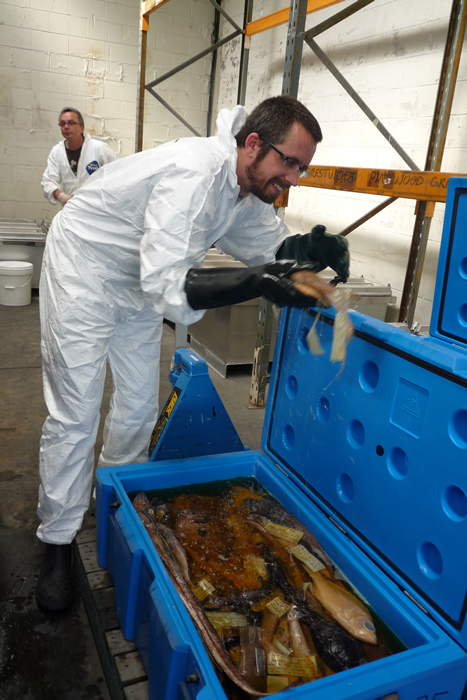 Working with the museum collections has brought him into the marine department – re-numbering, sorting and transferring the fish collection into new containers and field work to survey the fish diversity of the North West coast of the North Island. There is so much yet to discover about the plants and animals in the marine environment around the Three Kings Islands. I hope that we are able to build a more comprehensive list of the animals and plants that live there, and bring back collected specimens for future research. I am looking forward to working with and learning from the highly experienced team assembled for this expedition. In 2011 I was part of the museum’s biodiscovery expedition to the Kermadec Islands with scientists from five different agencies collecting and documenting species in one of the world’s most pristine marine environments. On that expedition we discovered species that were new to New Zealand and even new to science, so it would be great if we could do that again. Primarily my contribution of skills will be in Collection Management. I will be involved in the collection of fish utilising a range of methods including SCUBA, netting, lines and traps and also in the processing of the fish collected. This involves preserving, sorting, numbering, and recording collection details eg: location, depth, method etc. All of which requires a systematic and methodical approach that is consistent and simple. This work will be important as the “raw data” will be transferred into the Auckland Museum database and specimens added to our extensive collections. As a Collection Technician at the Auckland Museum I work across all collections – both Natural History and Human History and my days range from numbering bird bones to deconstructing and packing a Maori pataka for loan to designing new storage furniture to better house the collections.